PubPeer – A universal comment and review layer for scholarly papers? Lately I’ve had a plethora of discussions with colleagues concerning the possible benefits of a reddit-like “democratic review layer”, which would index all scholarly papers and let authenticated users post reviews subject to karma. We’ve navel-gazed about various implementations ranging from a full out reddit clone, a wiki, or even a full blown torrent tracker with rated comments and mass piracy. So you can imagine I was pleasantly surprised to see someone actually went ahead and put together a simple app to do exactly that. Pubpeer states that it’s mission is to “create an online community that uses the publication of scientific results as an opening for fruitful discussion.” Users create accounts using an academic email address and must have at least one first-author publication to join. Once registered any user can leave anonymous comments on any article, which are themselves subject to up/down votes and replies. Pretty simple- any paper can be found in the database and users then leave comments associated with those papers. On the one hand I really like the simplicity and usability of PubPeer. I think any endeavor along these lines must very much follow the twitter design mentality of doing one (and only one) thing really well. I also like the use of threaded comments and upvote/downvotes but I would like to see child comments being subject to votes. I’m not sure if I favor the anonymous approach the developers went for- but I can see costs and benefits to both public and anonymous comments, so I don’t have any real suggestions there. What I found really interesting was just to see this idea in practice. While I’ve discussed it endlessly, a few previously unforeseen worries leaped out right away. After browsing a few articles it seems (somewhat unsurprisingly) that most of the comments are pretty negative and nit-picky. Considering that most early adopters of such a system are likely to be graduate students, this isn’t too surprising. For one thing there is no such entity as a perfect paper, and graduate students are often fans of these kind of boilerplate nit-picks that form the ticks and fleas of any paper. If comments add mostly doubt and negativity to papers, it seems like the whole commenting process would become a lot of extra work for little author pay-off, since no matter what your article is going to end up looking bad. In a traditional review, a paper’s flaws and merits are assessed privately and then the final (if accepted) paper is generally put forth as a polished piece of research that stands on it’s on merits. If a system like PubPeer were popular, becoming highly commented would almost certainly mean having tons of nitpicky and highly negative comments associated to that manuscript. This could manipulate reader perceptions- highly commented PubPeer articles would receive fewer citations regardless of their actual quality. So that bit seems very counter-productive to me and I am not sure of the solution. It might be something similar to establishing light top-down comment moderation and a sort of “reddiquette” or user code of conduct that emphasizes fair and balanced comments (no sniping). Or, perhaps my “worry” isn’t actually troubling at all. Maybe such a system would be substantially self-policing and refreshing, shifting us from an obsession with ‘perfect papers’ to an understanding that no paper (or review) should be judged on anything but it’s own merits. Given the popularity of pun threads on reddit, i’m not convinced the wholly democratic solution will work. Whatever the result, as with most solutions to scholarly publishing, it seems clear that if PubPeer is to add substantial value to peer review then a critical mass of active users is the crucial missing ingredient. 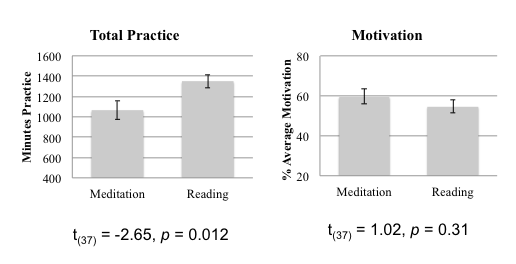 The ugly: prominent reporting of uncorrected findings, comparison of meditation-naive controls to practitioners using meditation instructions (failure to control task demands). Take-home: Some interesting conclusions, from a somewhat tired and inconclusive design. Poor construction of baseline condition leads to a shot-gun spattering of brain regions with a few that seem interesting given prior work. Let’s move beyond poorly controlled cross-sections and start unravelling the core mechanisms (if any) involved in mindfulness. These results are then referred to repeatedly in the following discussion. I’m sorry, but when did uncorrected findings suddenly become interpretable? I blame the reviewers here over the authors- they should have known better. 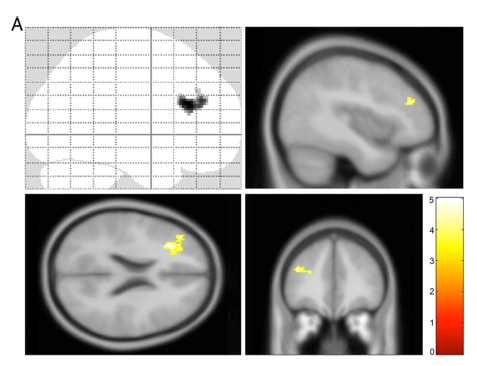 The MPFC did not survive correction and hence should not be included in anything other than a explicitly stated as such “exploratory analysis”. In fact it’s totally unclear from the methods section of this paper how these findings where at all discovered: did the authors first examine the uncorrected maps and then re-analyze them using the FWE correction? Or did they reduce their threshold in an exploratory post-hoc fashion? 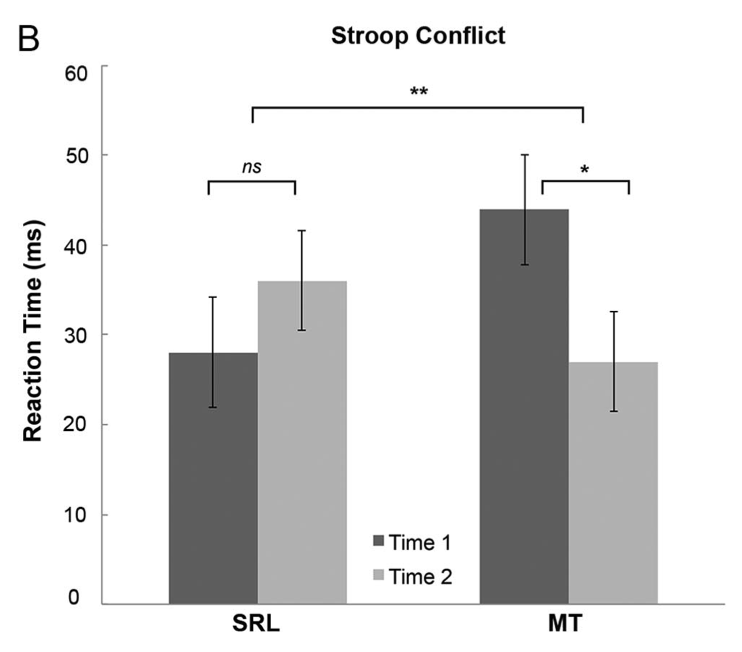 These things make a difference and I’m appalled that the reviewers let the article go to print as it is, when figure 1 and the discussion clearly give the non-fMRI savy reader the impression that a main finding of this study is MPFC activation during meditation. Can we please all agree to stop reporting uncorrected p-values? I will give the authors this much; the descriptions of practice, and the theoretical guideposts are all quite coherent and well put-together. 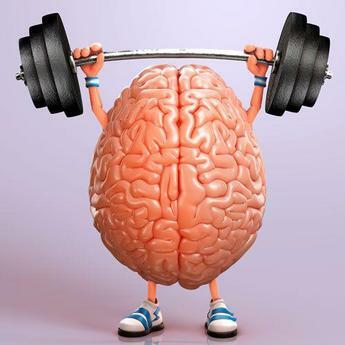 I found their discussion of possible mechanisms of DMN alteration in meditation to be intriguing, even if I do not agree with their conclusion. 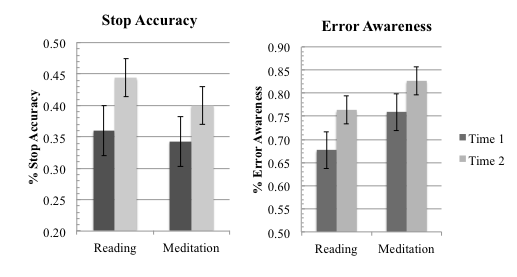 Still, it pains me to see a paper with so much potential fail to address the pitfalls in meditation research that should now be well known. Indeed the authors themselves make much ado about how difficult proper controls are, yet seem somehow oblivious to the poorly controlled design they here report. This leads me to my own reinterpretation of their data. A new default mode, or confused controls? Given that in most contemplative traditions, choiceless awareness techniques are typically late-level advanced practices, in which the very concept of grasping to a stimulus is distinctly altered and laden with an often spiritual meaning, it seems obvious to me that such an instruction constitutes and excellent mindwandering inducement for naive-controls. 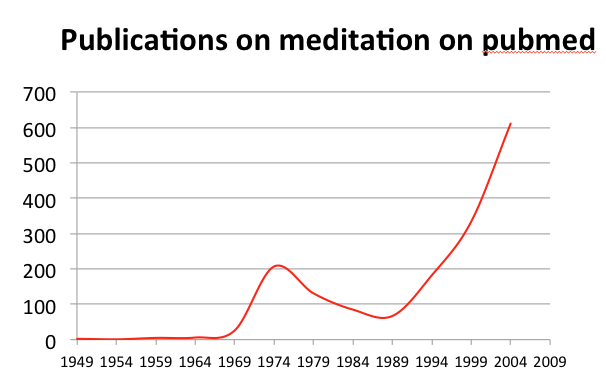 Do you meditate? I do a little, and yet I find these instructions extremely difficult to follow without essentially sending my mind in a thousand directions. Am I doing this correctly? When should I shift? Is this a thought or am I just feeling hungry? These things constitute mind-wandering but for the controls, I would argue they constitute following the instructions. 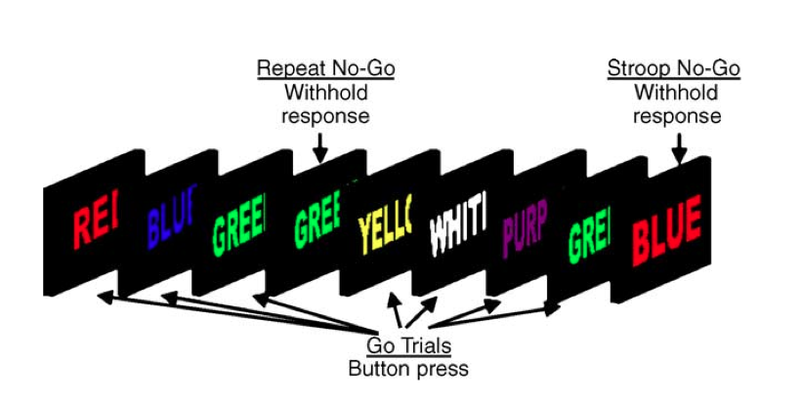 The point is that you simply can’t make meaningful conclusions about the neural mechanisms involved in mindfulness from these kinds of instructions. I found it interesting that the meditation conditions appear to co-activate MPFC and insula, and would love to see this finding replicated in properly controlled design. I also have a nagging wonder as to why the authors didn’t bother to conduct a second-level covariance analysis of their findings with the self-reported mind-wandering scores. 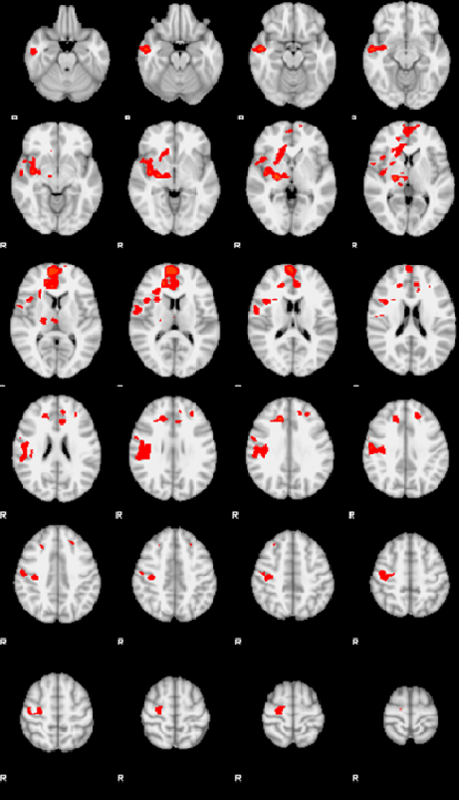 If these findings accurately reflect meditation-induced alterations in the DMN, or as the authors more brazenly suggest “a entirely new default network”, wouldn’t we expect their PCC modulations to be predicted by individual variability in mind-wandering self-reports? Of course, we could open the whole can of worms that is “what does it mean when you ask participants if they ‘experienced mind wandering” but I’ll leave that for a future review. At least the authors throw a bone to neurophenomenology, suggesting in the discussion that future work utilize first-person methodology. Indeed. 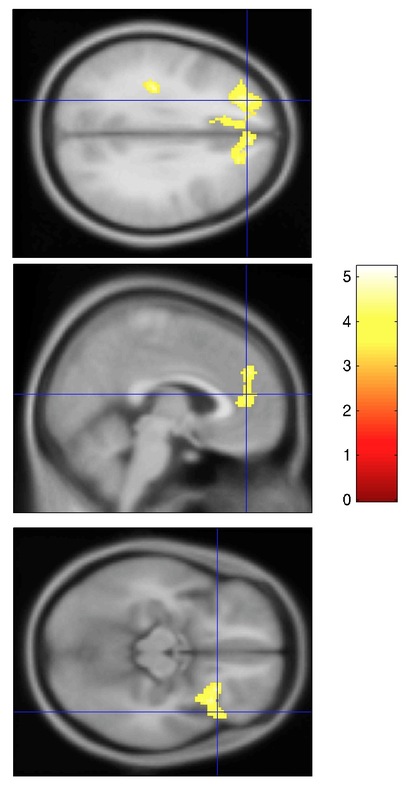 Last, it occurs to me that the primary finding, of increased DLPFC and ACC in meditation>Controls, also fits well with my intepretation that this design is confounded by demand characteristics. If you take a naive subject and put them in the scanner with these instructions, I’ve argued that their probably going to do something a whole lot like mind-wandering. On the other hand, an experienced practitioner has a whole lot of implicit pressure on them to live up to their tradition. They know what they are their for, and hence they know that they should be doing their thing with as much effort as possible. 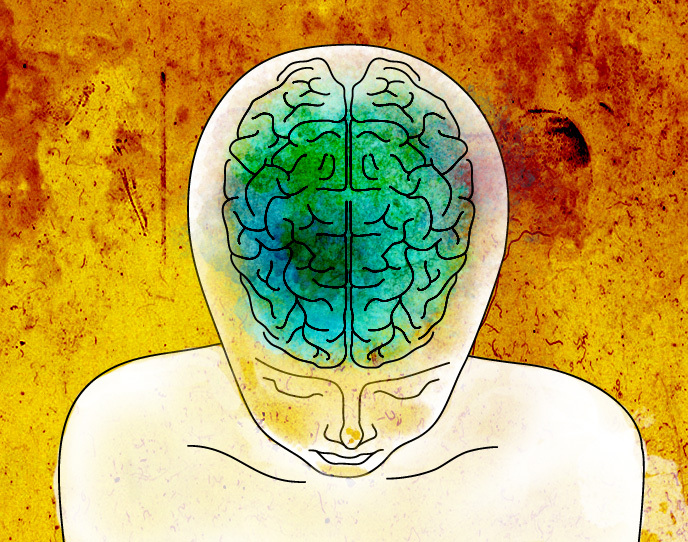 So what does the contrast meditation>naive really give us? 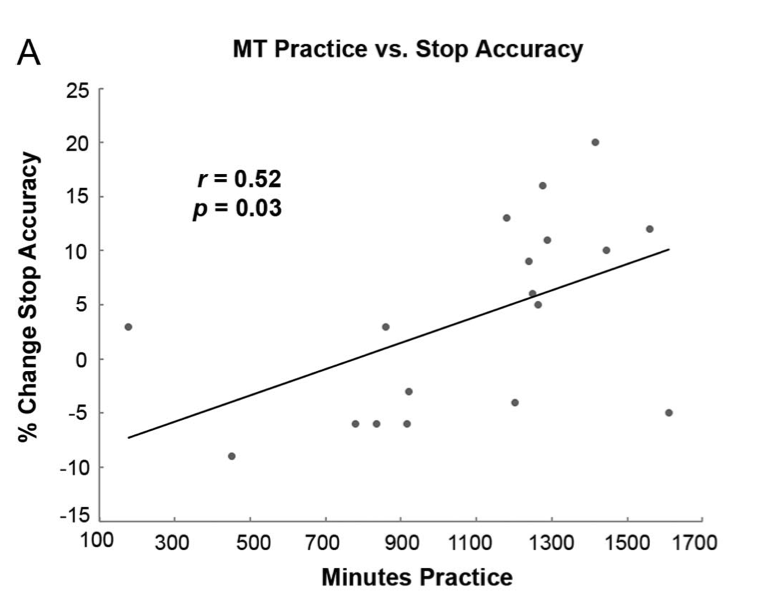 It gives us mind-wandering in the naive group, and increased attentional effort in the practitioner group. 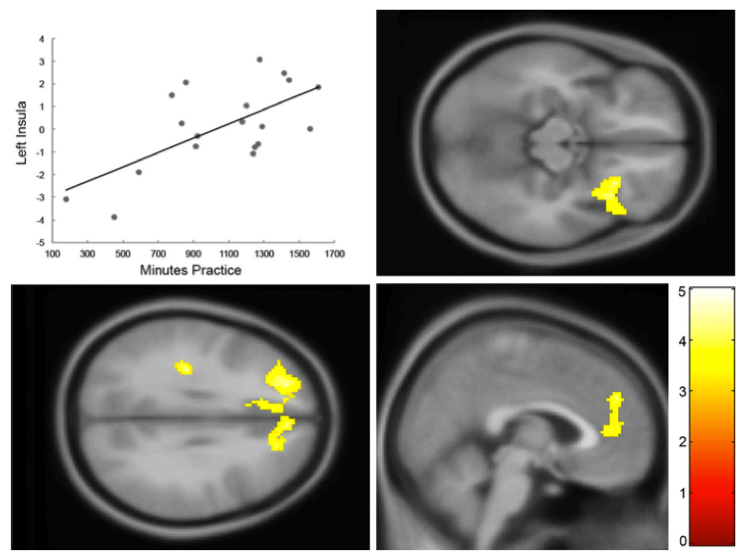 We can’t conclude anything from this design regarding mechanisms intrinsic to mindfulness; I predict that if you constructed a similar setting with any kind of dedicated specialist, and gave instructions like “think about your profession, what it means to you, remember a time you did really well” you would see the exact same kind of results. You just can’t compare the uncomparable. Disclaimer: as usual, I review in the name of science, and thank the authors whole-heartily for the great effort and attention to detail that goes into these projects. 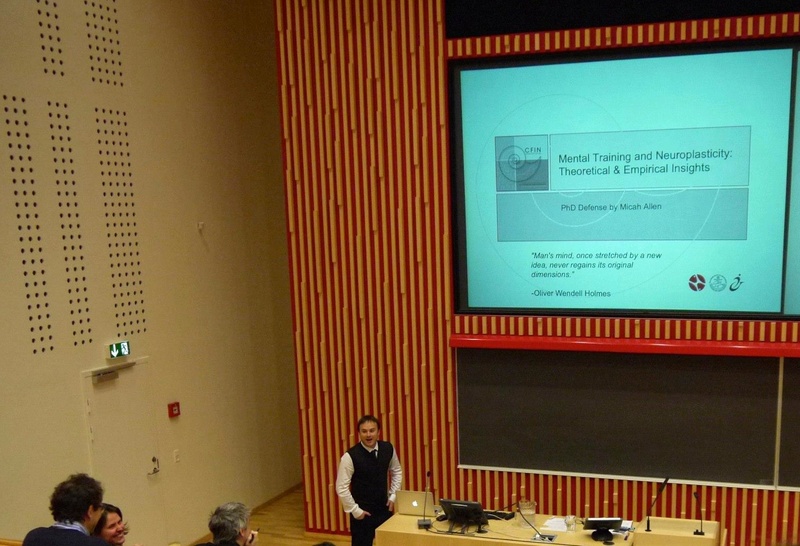 Also it’s worth mentioning that my own research focuses on many of these exact issues in mental training research, and hence i’m probably a bit biased in what I view as important issues.